General Motors said Thursday the number of deaths tied to its flawed ignition switch may be more than the total of 13 it has disclosed publicly. That's notable considering that the automaker has been holding firm on that number, as recently as a Thursday morning press conference. GM counts crash victims using a fairly narrow definition as to how deaths can be connected to the problem. The flaw can turn the car's engine off while driving, disabling its airbags, anti-lock brakes and power steering. GM only counted drivers and front seat passengers who were killed in head-on accidents in which the air bag did not deploy. Passengers who died in side-impact accidents weren't counted because airbags aren't designed to deploy in side crashes. Fatalities of back seat passengers were also excluded from the total, because there are no rear airbags. Related: GM's botched recall shows "a pattern of incompetence and neglect"
But by midday Thursday GM said that it is prepared to raise the death toll tied to the ignition switch, based on the criteria that will be set by independent compensation expert Kenneth Feinberg. GM hired Feinberg to administer a program to compensate those killed or injured in accidents. "Once Ken Feinberg determines the criteria and administers the program, GM will release the number of fatalities and serious physical injuries," said a GM spokesperson. Feinberg told CNNMoney Thursday that he doesn't know whether the families of side-impact crash victims or those in the back seat will be compensated by GM. "I don't want to say anything until I get input from GM, the lawyers and public interest groups," he said. He expects to send preliminary criteria to the interested parties next week, and to have a final formula within several weeks. David Friedman, the acting administrator of the National Highway Traffic Safety Administration, has said that he thinks GM's count of 13 fatalities will climb. GM's tally also sparked objections from plaintiff attorneys, auto safety advocates and families of some of those killed in the recalled cars. All of them argue that the ignition flaw could cause an accident on its own, regardless of whether airbags and power steering were working. "They're playing with numbers," said Beth Melton. whose daughter Brooke was killed in a side-impact accident in 2010 when the ignition switch turned off the Cobalt she was driving. The car went into a skid on rain-slicked roads. "They don't count Brooke's death, and she's dead because of that ignition switch," said Melton. Natasha Weigel is another ignition switch fatality that isn't included on GM's list because she was in the back seat of a car. Her friend, Amy Rademaker, who was killed in the same accident while riding in the front seat, is on the list. "I don't understand how Amy can be on that list and not Natasha," said Ken Rimer, Weigel's stepfather. 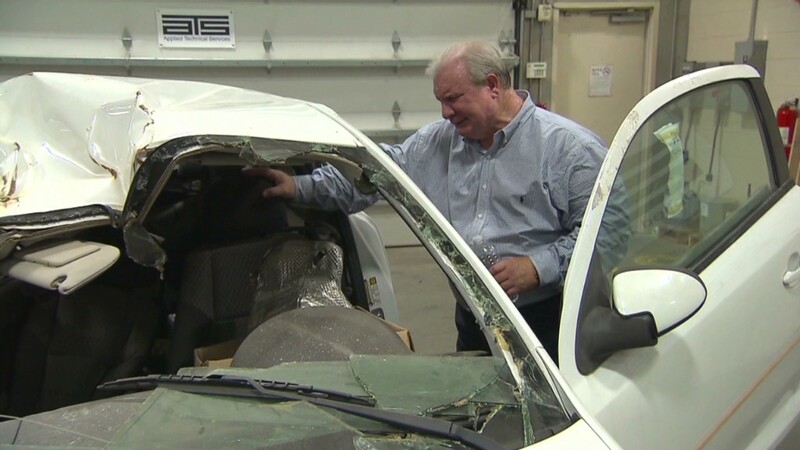 "Had the ignition switch not failed, they'd both be alive." -- CNNMoney's Jennifer Liberto contributed to this report.